Check this kid out. 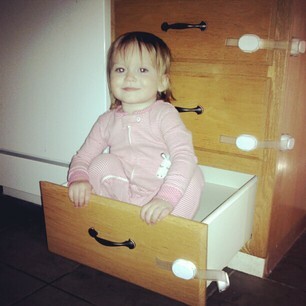 Emily is a full on toddler now. Nothing can stop her from climbing into/onto/over things and we are constantly needing to baby proof differently to keep up with her! 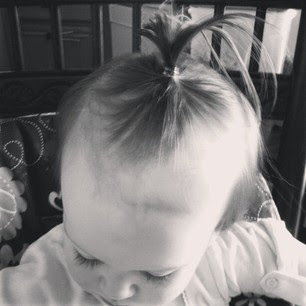 This is the first time I got Emily's hair up on a rubber band...it was adorable and short lived. 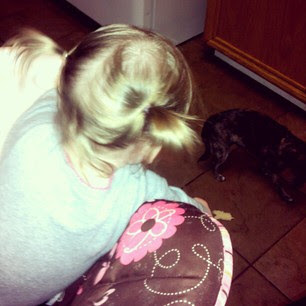 Emily is such a little mini me. She loves to try to copy things I do like brush hair, teeth, stir things in pots, wrap a scarf (or in her case one of Michael's shirts) around her neck, copy facial expressions, etc. It's so fun to watch her learn! 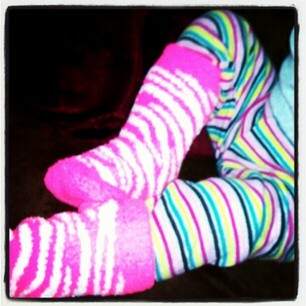 The picture below is her wearing my socks :). I do occasionally go out without E and have some "me time". I recently was able to go shopping with a friend and it was really fun! 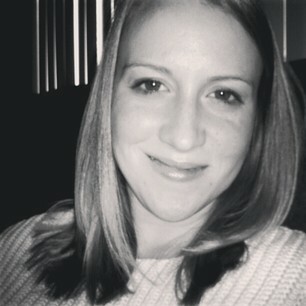 I got my hair cut a couple inches. It needed it!! Excuse my naked/tired face...it seems to be this way a lot these days! I blame this on the toddler ;). 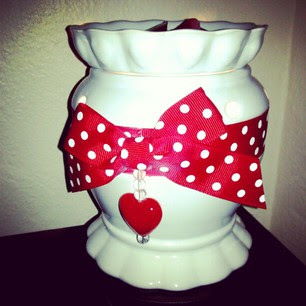 I got my Valentine's themed Scentsy warmer out and I just love it!! Warming Apple Press as well! 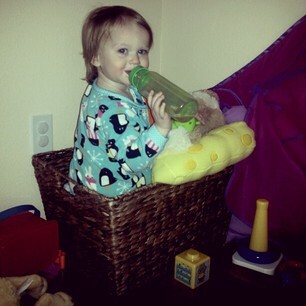 Once again, this crazy toddler is a climber! 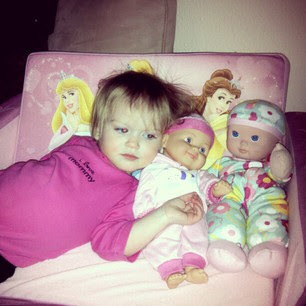 Emily loves her new couch and her dolls! 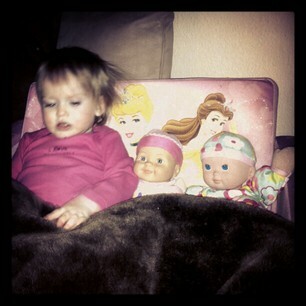 She dragged this blanket over and covered herself and her dolls! 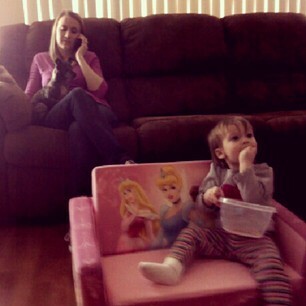 Michael took this picture of Em and me both using our left hands. I'm left handed and we are wondering if Emily will be too! Alrighty, well I'm sure that was more than enough pictures for ya'll! So, if I'm not blogging as frequently as I used to, you know why! This little girl is (and always has been) very hands-on and active! I could spend her naps (which are getting fewer and farther in between) and bedtime blogging but, well, I don't really want to, lol. I don't really feel like I have much to talk about anyways. We'll see if I get more energy, time, inspiration, and motivation to blog in the future. Until then, I hope you stick with me! If you're on twitter or instagram you can find me on there way more than on here. 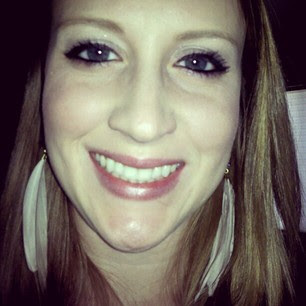 @ShelleyBells07. I hope you all are having a great beginning to your new year! Such a sweet post! She is def a cutie! My sister is a lefty and we are wondering if my niece will be a lefty too. Right now she goes back and forth. Chloe has a couch just like that, and sits on it with a blanket sometimes too. It's adorable. She's also a climber. I'm scared she's going to kill herself sometime. Yesterday she slipped trying to climb on the coffee table and got her first bloody nose. She's going to give me a heart attack. I love Emily! I can't believe how big she is getting!